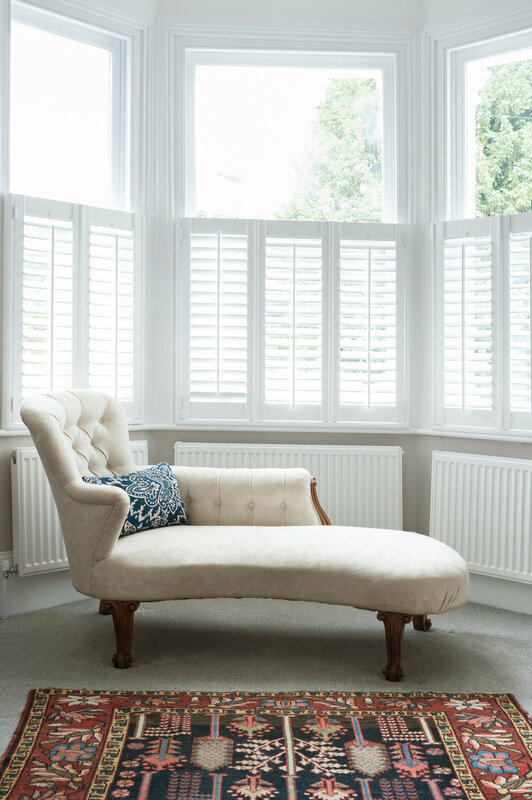 The brief for Nicky Percival Interiors was clear – The client had £200,000 to spend to make an additional £200,000. The project was to transform and add value to a tired 4 storey semi-detached Victorian property of red brick construction in a leafy street in Kingston upon Thames. 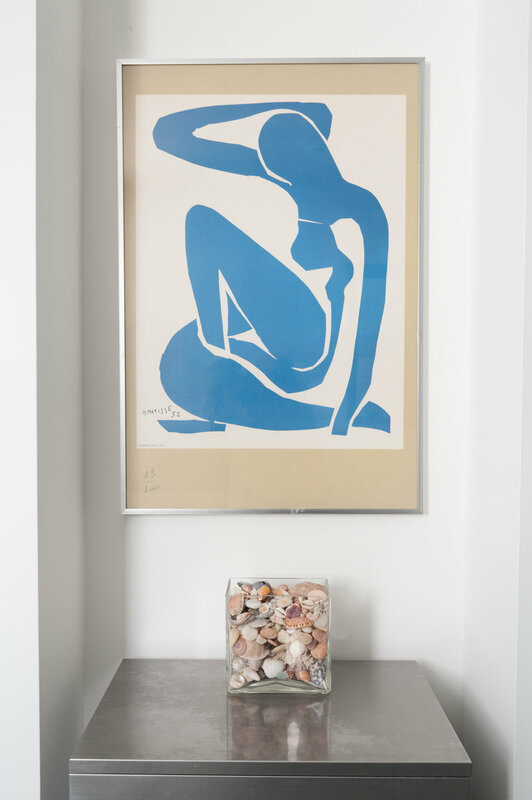 Originally valued at £800,000, the vendor was looking to sell at £1.2m. 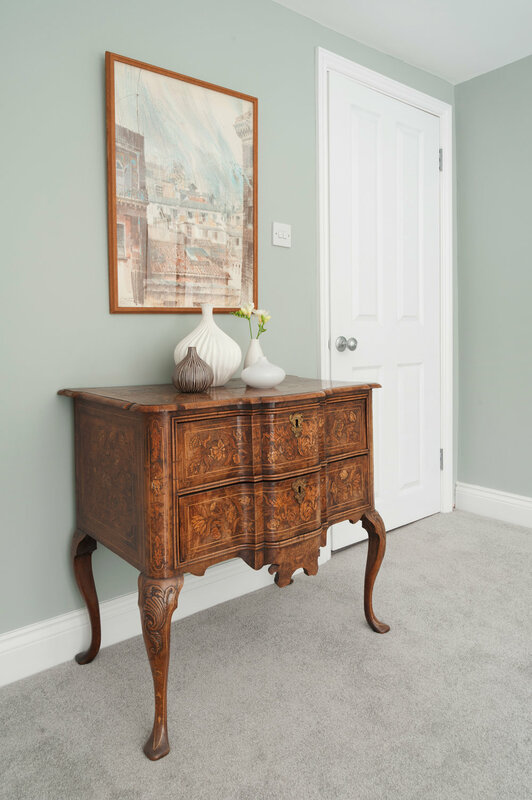 Here’s how Nicky Percival Interiors achieved this to the delight of the seller. 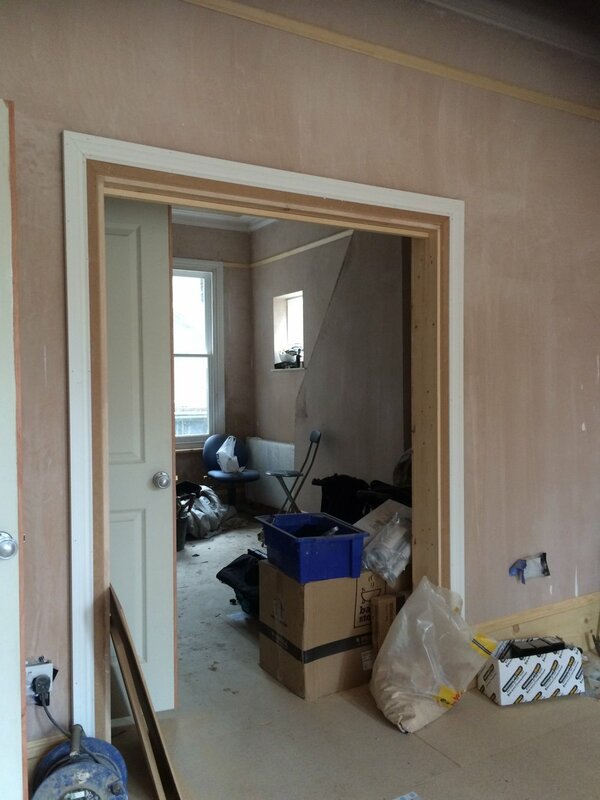 Existing ground floor with cramped kitchen at rear with bathroom off kitchen and backing onto garden. 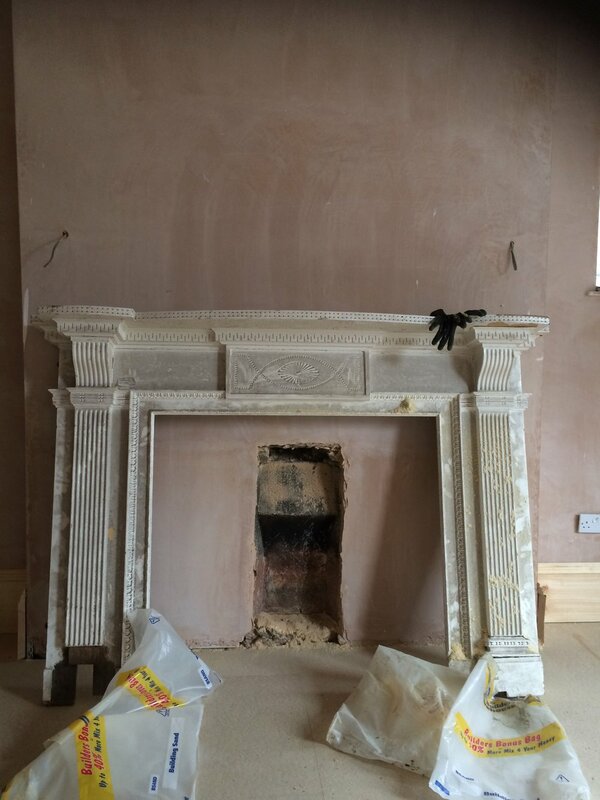 Front reception room with 'feature' sixties stone fireplace and all period details removed. 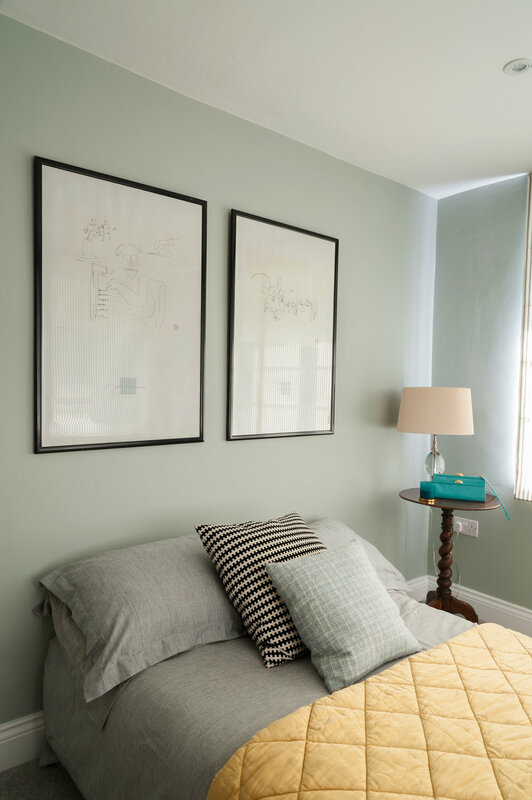 Nicky Percival Interiors were confident this could be realised and set about planning and redesigning this 4 bedroom and 2 bathroom property. It required extensive interior and exterior work including restoration of the Victorian front of the house, interior remodelling and blending a contemporary space at the back so that it flowed through to the garden. For the success of this project, the best use of the budget was key and all works had to be carried out within a tight timeframe. 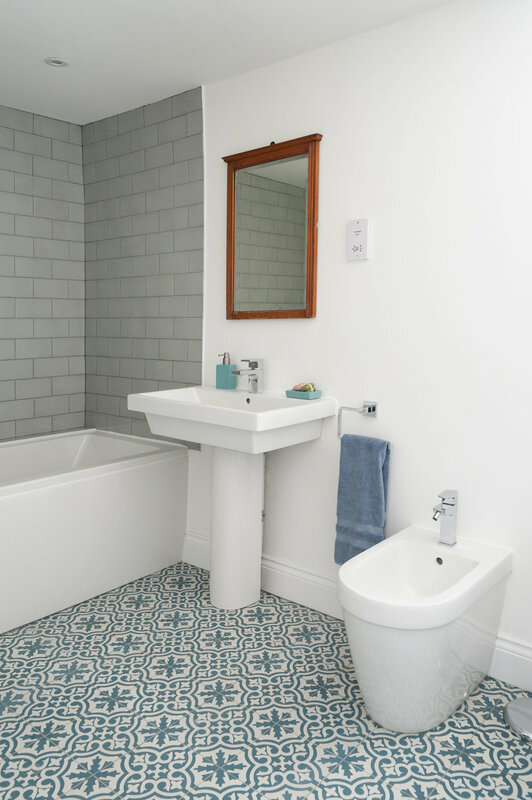 Not only did the exterior and interior require extensive redecorating and remodelling, the electrics and plumbing needed replacement as well as the installation of a new heating system. 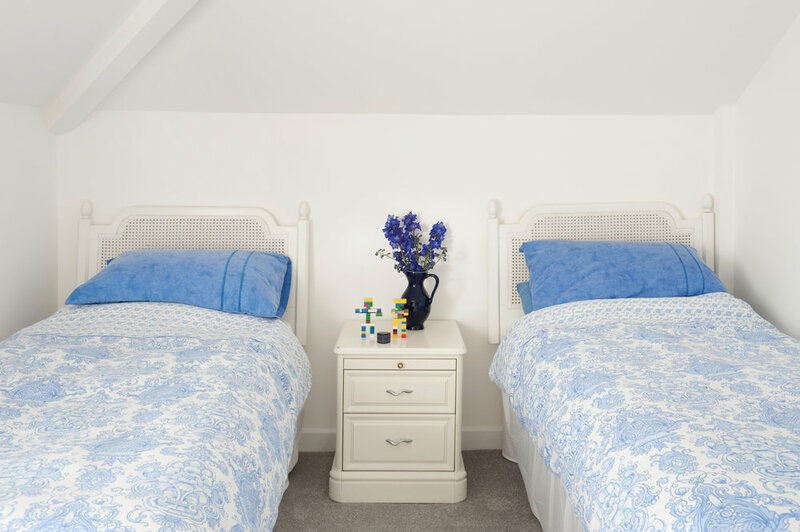 The interior remodelling included a new family bathroom upstairs and a new master bedroom ensuite. Large kitchen, dining and sitting room created at rear of property. 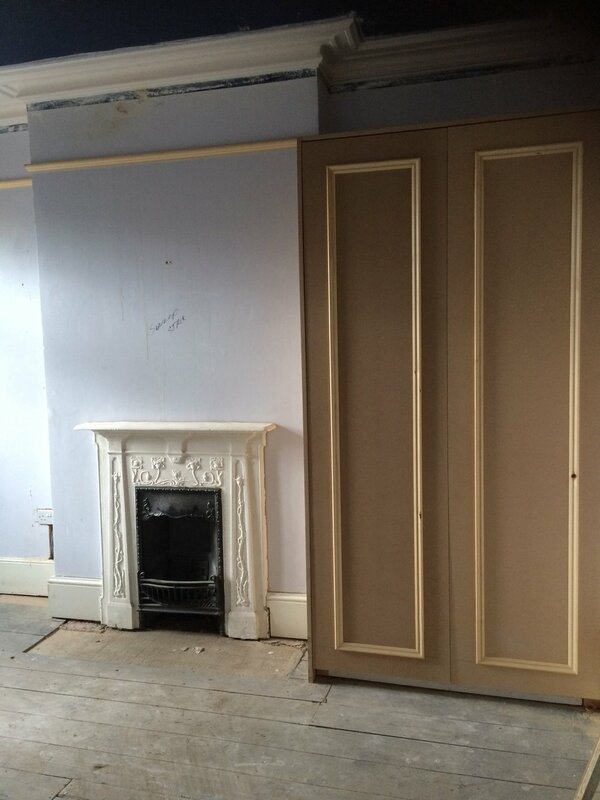 rginal visctorian reception rooms restored to former glory with new doors, period details and fireplaces. 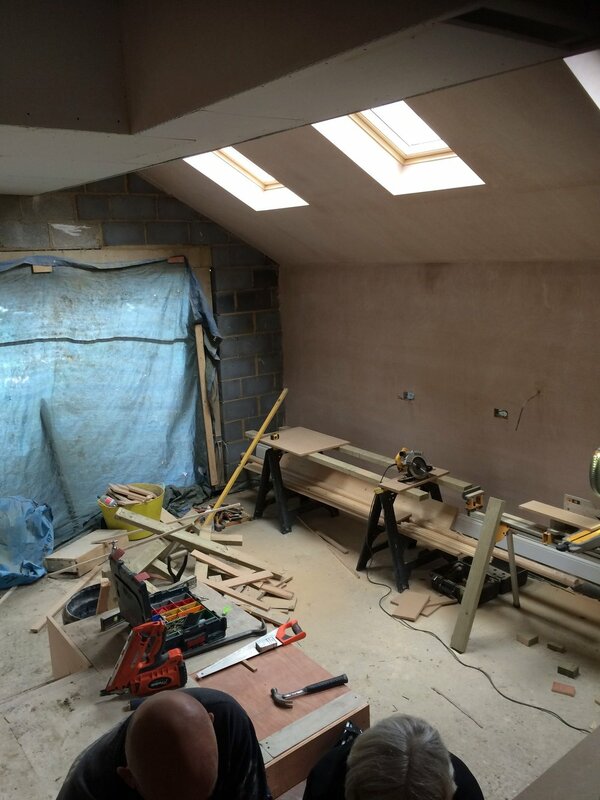 Nicky felt that there needed to be a fabulous kitchen extension with extensive remodelling of the interior to make the best use of the space. 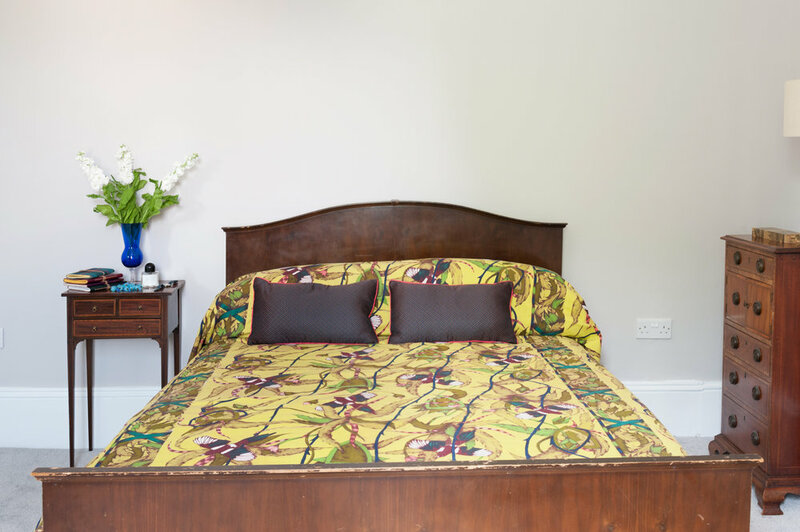 The property included a separate studio flat in the basement, which was to be retained with a room created behind which could be used as a study, playroom or media area. A utility and boiler room were also to be incorporated. The exterior of the property had certainly seen better days with paint peeling from the walls and the white painted elements looking dirty and weather-beaten. Kerbside appeal was negligible. 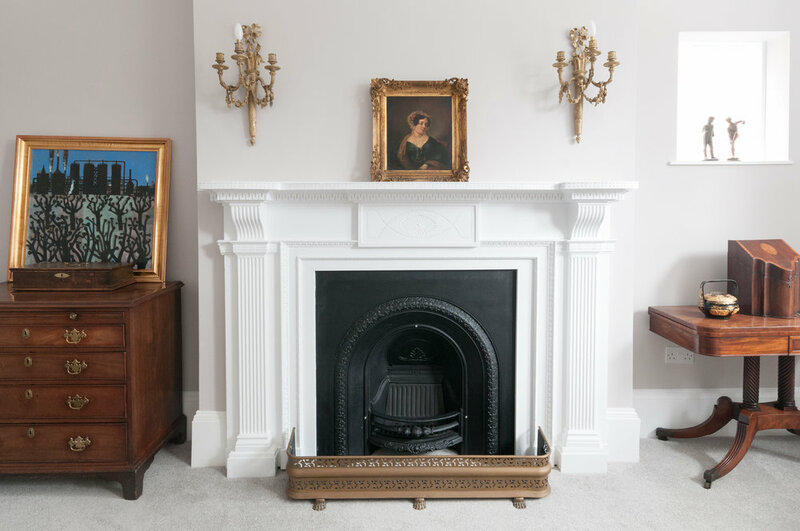 Key was combining modern elements and reinstating as many of the period features as possible including fireplaces, skirting boards and cornices and sourcing where possible. 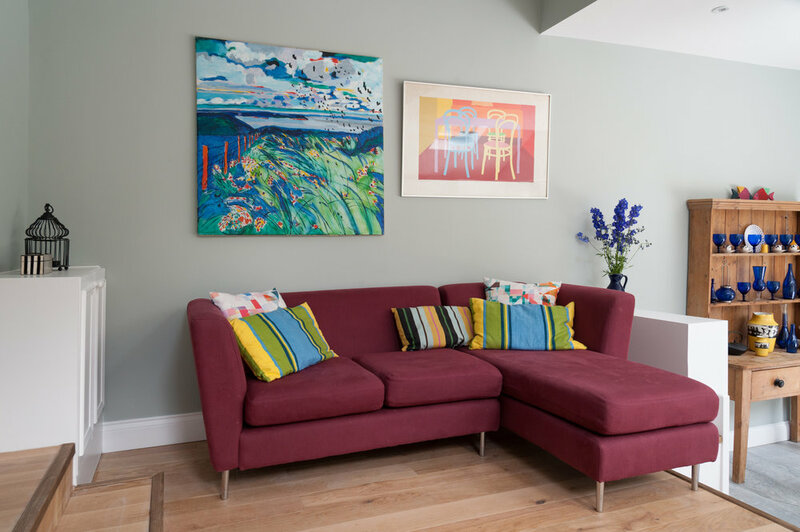 As with many Victorian properties, the sitting room was at the front of the property and the wall separating this from the dining area had been knocked down to make one open plan space. 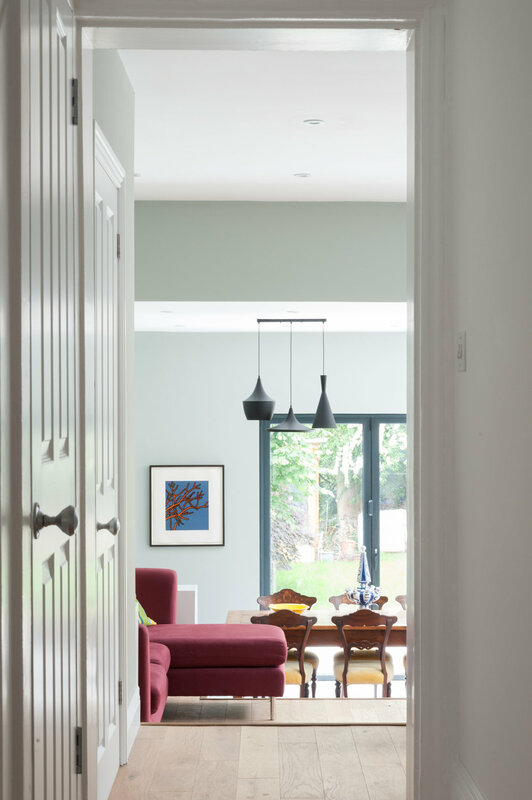 A better use was to reinstate the dividing wall, putting in double doors so that the space could be two cosy rooms or the doors could be opened up when entertaining or for parties. View from garden through bifold doors into large kitchen, dining, family room. The pièce de résistance was a large extension to the rear of the property to create a lovely square room with large bifold doors leading directly into the garden, thus bringing the outside space inside. 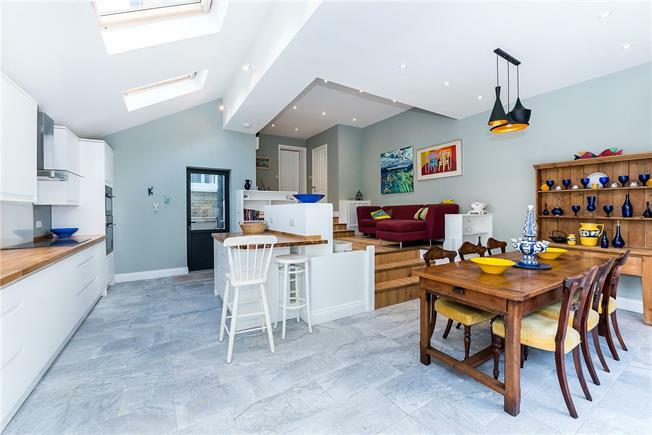 The flooring, which was laid with underfloor heating, was designed to continue seamlessly into the terraced area at the back. 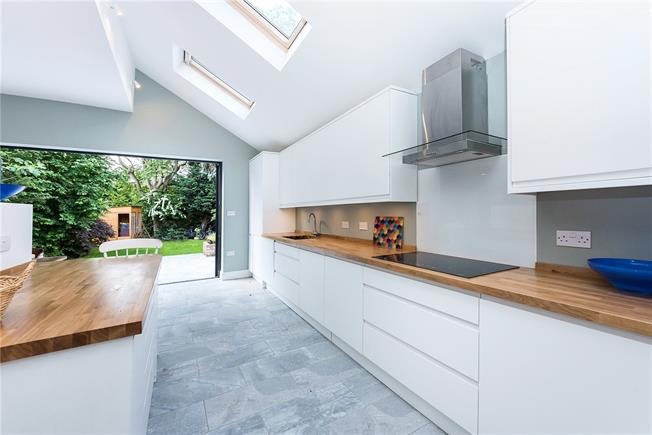 The kitchen was designed to wow by incorporating clean modern white handleless units, which ran along one side of space with a dining area that was directly beside the garden with a seating area in the middle on a raised area of the new space. 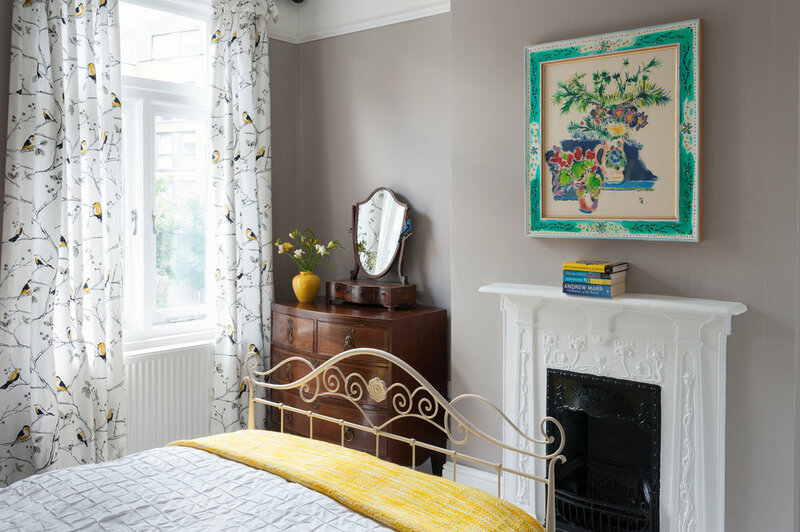 A simple elegant neutral grey palette was used for the whole house to unify the new space with the original Victorian front. The front and rear of the house were redecorated with newly laid off road parking at the front using smart grey brick paving. 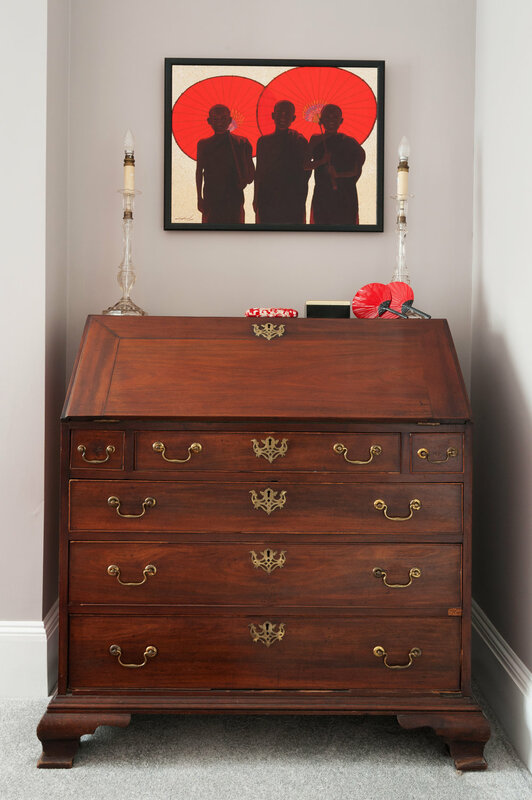 The house was dressed for sale using furniture that was begged and borrowed, as the budget did not stretch to buying new furniture or antiques. It was realistically used to represent the possible lifestyle the house could now accommodate. Hamptons completed a quick sale of this property for £1.2m. Are you looking to add value to your property? 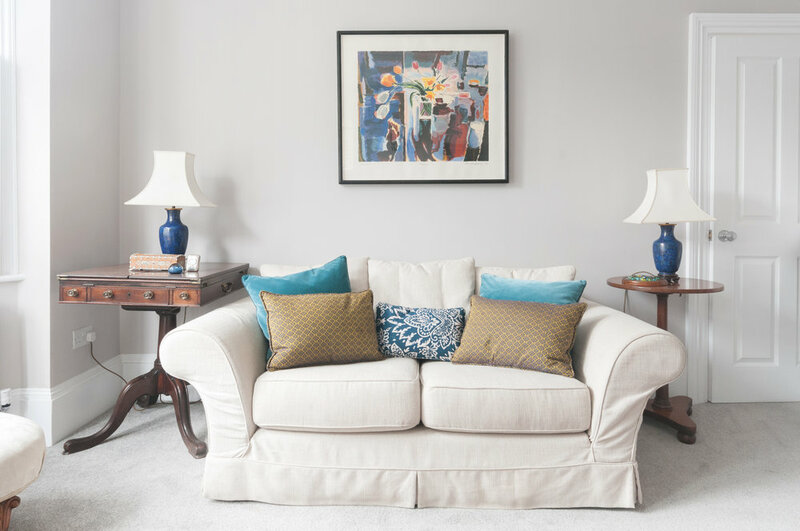 Nicky Percival Interiors are experienced Interior Designers who can transform your property and in some cases double your investment. Please get in touch on 07773 372158 or email nicky@nickypercival.co.uk for a without obligation chat.